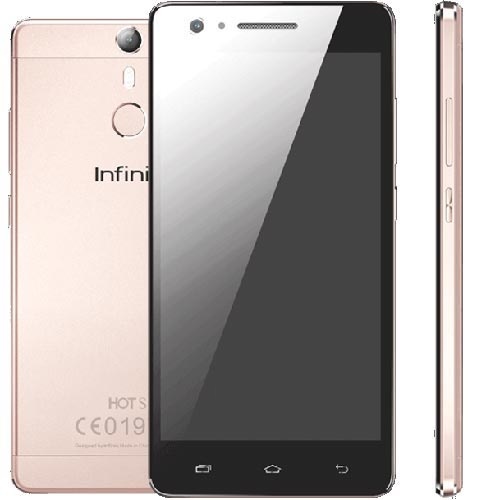 Infinix Hot S is a premium looking smartphone from Infinix. It is the first smartphone from the company to feature a fingerprint sensor as well as Android 6.0. The Infinix Hot S seems like a reversal of the Infinix philosophy of ‘bigger is better’ as the phone with its 5.2-inch display is the most compact phone the company has built for a while. Infinix Hot S X521 is the most compact phone from Infinix since the launch of the Hot 2 almost a year ago. Since then the company has launched the beastly 6-inch Infinix Note 2 and the equally massive Infinix Zero 3 and Infinix Hot 3 with 5.5-inch Displays. Infinix Hot S looks premium with curves on the edges, metal frame, and is available in rose gold, gold, black, silver, and blue. 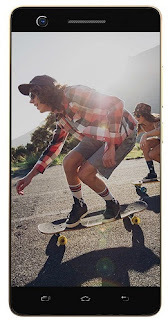 Infinix Hot S features a 5.2-inch IPS display with 1080 x 1920 pixels resolution. If raw specs is anything to go by, a full HD display will give the Hot S one of the best displays from Infinix for a while. Like the Infinix Note 3, the Infinix Hot S has some potential in photography. On the back, you have a 13 megapixels camera with dual LED flash and on the front is an 8 megapixels wide-angle camera with a soft LED flash. The Infinix Hot S is powered by a 64-bit Kirin 650 SoC, where as the processor offers 8-cores and is expected to clock at up to 1.5GHz. Two versions of the Hot S X521 will be available; one offering 16GB storage and 2GB of RAM and the other with 32GB storage and 3GB of RAM. However, you will be able to extend storage further by up to 128GB using a microSD card. Infinix Hot S runs on Android 6.0 (Marshmallow). Like the Infinix Hot 4 and Note 3, the smartphone sports a fingerprint sensor on the back. This enables you unlock your phone or setup actions. Infinix Hot S comes with a 3000 mAh battery and is expected to offer 4G LTE. 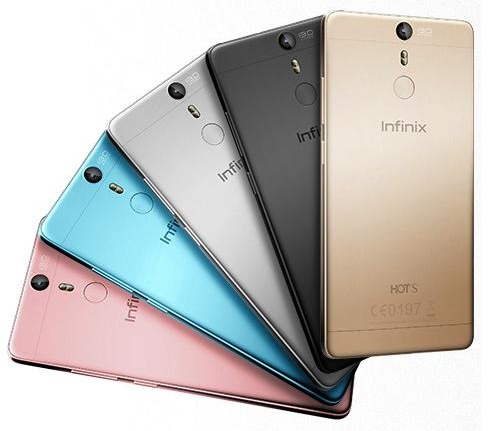 Where to Buy Infinix Hot S in Nigeria, Kenya, and Ghana. You can buy this smartphone at leading online stores in the countries. Infinix Hot S Price in Nigeria ranges between 54,000 Naira and 65,000 Naira, depending on your location in the country. The Infinix Hot S Price in Kenya starts at 13,500 KSh, while the price in Ghana starts at 489 GH₵.